Catherine Ashton, the High Representative of the European Union for Foreign Affairs and Security Policy, visited Kyrgyzstan for the first time on 28 November. Human rights activists have been preparing for her visit in advance. The situation of political prisoners’ situation became the main topic in the messages sent by human rights activists. On 22 November, Human Rights Watch, a leading international human rights organisation, called Catherine Ashton to publically demand the liberation of illegally imprisoned activists, who are languishing in local prisons. Nadejda Ataeva, leader of the Association for Human Rights in Central Asia, based in France, which is at one with HRW’s request, talked about the situation of political prisoners held in Uzbek prisons in an interview with NBC Central Asia. The shortened version of the interview is published on the IWPR website. NBCA: Talk to us about the situation of political prisoners in Uzbekistan. Nadejda Atayeva: A short explanation of Murat Djurayev’s situation is enough to understand how cruel the ruling regime is to those who have decided to battle for the truth, for freedom and for human dignity. Murat Djurayev was 42 when he was sentenced to 12 years in prison, accused of attempting to violently overthrow the government. Throughout the so-called investigation, the words “Djurayev is involved in preparing combatants in Turkish territory” were a constant echo. Yet these assertions were not supported by facts, and evidence given by “prosecution witnesses”, who were taken there by the National Security Service (NSS), sounded like a badly learnt lesson. One of them said that Murad Djurayev sent him to Turkey to learn how to conduct military operations. The accused asked him where and when they met. The “witness” could not answer him. A representative of the Turkish embassy was there, but the Turkish government has never made any accusations of Murat Djurayev preparing militants. Representatives of the French, US, Italian, Polish, UK and other embassies, as well as Western journalists were also at the court. Many of them commented on the case in foreign publications. For 18 years, Murat Djurayev’s lawyers have not had access to the materials of this case. This is most likely because they do not contain any evidence of guilt. In 2006 Murat Djurayev was sentenced to three years and six months in prison for badly cleaning carrots in the kitchen and hanging his cotton top close to a heat source. The sentencing authorities were not perturbed by the fact this was taking place in the summer, when temperatures reached 45C. On 13 November 2012, Murat Djurayev’s fourth sentence expired, but once again, he was not set free. From 10 to 22 October he was held in punitive confinement near Almalik town in the Tashkent district for a disciplinary violation. Mr Djurayev has been presented with yet another accusation and his is now in Tashkent prison. How many political prisoners do you think there are there in Uzbekistan? Who is serving the longest sentences? Data on the number of political prisoners is closed. The government department which deals with providing the Main Directorate of Administrating Punishment (MDAP) is strictly controlled by a special department of the National Security Council (NSC). All the information on statistics of prisoner numbers and costs is secret in Uzbekistan and is not part of the main statistical data. It is only possible to make estimations on the number of prisoners in general. According to official statistics, for every 100,000 people, there were 166 prisoners in 2010, which means that there are 46,480 people in our prisons. According to our data, there are at least 250 prisoners for every 100,000 people, which means that there are 70,000 prisoners. Photo from the Association for Human Rights in Central Asia archive. This is the body of Odil Huzhayerov (1971 – 2010), when he was returned to his family for burial in 2011. He was serving his sentence in Navoi colony. Witnesses say that the family was given only 5 hours to bury the body. His relatives signed a non-disclosure agreement and neighbours were banned from going to the funeral. The farewell and burial took place under NSC control. His wife Mohiniso Rakhimova was sentenced to six years in prison in 2006. Prisoners whose sentences have been extended are not included in the statistics. This normally applies to political prisoners. We have noted instances when people who have reported being tortured, who have been sentenced for real crimes, are quietly transferred into the “political prisoners” category, only because their relatives had contacted human rights groups or UN representatives. It is also undeniable that Uzbek penal colonies are overfilled. Cells meant for four people are occupied by eight to nine prisoners. The number of penitentiaries and the numbers of prisoners in each colony often changes. Even if the number of colonies is reduced, then statistics on the number of prisoners only grows. For example, the Andijan prison was closed in 2011. Its prisoners were taken to other camps, where new blocks were built. People knows about new colonies or prisons, about the changes in where they are geographically, but often nothing is known about new blocks or cells being made. Those persecuted for political or religious reasons are sentenced for up to 20 years under the following articles of the Uzbek legal code: 158-3 (Public insult or slander of the President of the Kyrgyz Republic, as well as use of press and other mass media), article 159 (illegal organisation of public associations or religious organisations), article 216-1 (intent to participate in illegal public associations and religious organisations), 216-2 (violating the law on religious organisations), 244-1 (preparing or distributing materials, containing threats to public safety and social order) and 244-2 (creating, managing, participating in extremist religious, separatism, fundamentalist or other banned organisations). What is being done to protect prisoners from torture? 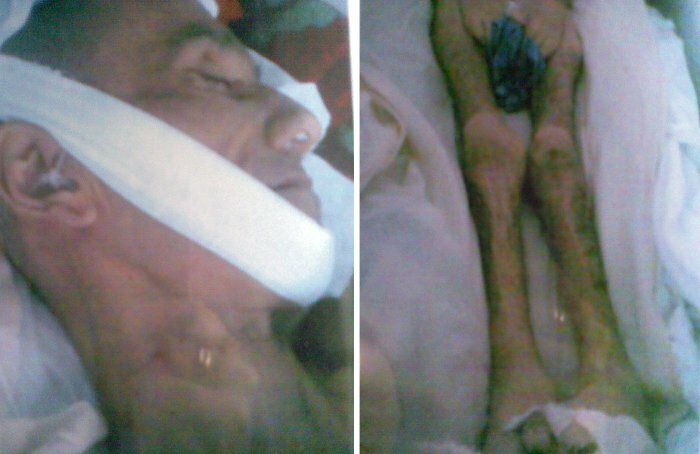 It is impossible to protect prisoners from torture in modern Uzbekistan. There are cases of torture which are known to have resulted in psychological and physical damage, death, suicide attempts and prisoners’ disability. It is not always possible to investigate these cases. It is often difficult to establish the victims’ personal data. The prisoners are denied the right to see their relatives, or perhaps the family does not have the money to visit them. The authorities intimidate the families of religious prisoners, political opposition members, human rights activists and journalists. Recently, entrepreneurs and people representing the business interests of high ranking officials have began appearing amongst political prisoners. It is also difficult to stand against the practice of torture because the government of Uzbekistan does not allow the UN Special Rapporteur on torture to visit the country, the HRW representative office is closed, and human rights activists and journalists are persecuted far and wide. Judicial lawlessness and impunity have lead to cruelty in prisons, comparable to the [Soviet] NKVD system. How do the families of political prisoners live? Relatives of current and former political prisoners are subjected to systemic discrimination. Children of political prisoner Murad Djurayev cannot get jobs, because their father is “an enemy of the people”. Only his wife is working, and the family has been barely making ends meet for the past eighteen years. Mamadali Makhmudov’s family is in the same situation. There are many examples of how difficult it is for the families of prisoners sentenced under article 159 (attempt on the constitutional order). Their children live in an atmosphere of universal reproach. 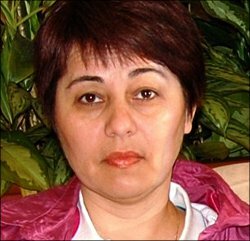 Former political prisoner Gulbahor Turayeva’s fate is also an example. She was not forgiven for publicising that she openly told journalists that she saw around 500 dead bodies of people killed by gunshots in the first days of the Andijan tragedy. A few months later, she was arrested and sentenced for distributing prohibited literature. The charge was of course fabricated. She was freed by the efforts of many international organisations, but afterwards, following an unspoken order of the NSC, the mother of four children, three of whom are minors, cannot get a job. She wrote that neighbours are afraid of talking to her and that this attitude spreads towards her children. Family ties are strong in Uzbekistan, yet discrimination against the relatives of political prisoners breaks century old traditions of the Uzbek people. Totally innocent people become pariahs in the country in which they were born. This situation is one of the main reasons for the distrust for the existing regime and for the growth in emigration. There is a lot of evidence that relatives of political prisoners are subjected to criminal investigations, if the authorities find out that they have applied for political asylum. Recently, we have heard fewer calls for the liberation of political prisoners. Political dialogue about human rights with the EU and the Uzbek government has been formally going on since 2009. This can be divided into “comfortable” and “uncomfortable” topics. A conversation about the liberation of political prisoners is a very painful one for the Uzbek authorities. This is why Uzbek MP Murad Djurayev, Erk newspaper editor Muhammad Bekjan and writer Mamadali Makhmudov are not included in the EU and US State Department lists of political prisoners. Their names are particularly annoying for Islam Karimov’s ears, and so they have become an uncomfortable topic for diplomats. In 2006 HRW created a list of political prisoners which included only human rights activists, journalists and the poet Yusuf Djuma. The EU and the US State Department took this as a basis and began working to liberate the prisoners. Throughout the years, this list has been renewed, but not reduced. Every year, the Uzbek authorities free two to three political prisoners to the applause of the EU and the US, but they put many more dissidents in jail. Uzbekistan keenly reports its new laws and presents eloquent national programmes, but there are no results of them fulfilling their obligations yet. As a result, the EU has stopped its high priority demands. One of the conditions for lifting EU sanctions against Uzbekistan, implemented after the mass killings in Andjian in May 2005, was to give accreditation to HRW and its colleagues, and to liberate human rights activists and journalists, who met the demands to conduct an international independent investigation of the Andijan events. The US State Department’s position in evaluating the human rights situation also cannot be called objective. In its latest report it said that there are 27 political prisoners in Uzbekistan, while human rights activists have personal data on more than 2,000 political prisoners. But this is at least three times less than the actual number. While the EU and the US State Department depend on the elaborate plans presented by the Uzbek government, rather than their actual results for their assessments of the situation, it is unfortunately naïve to expect real change.